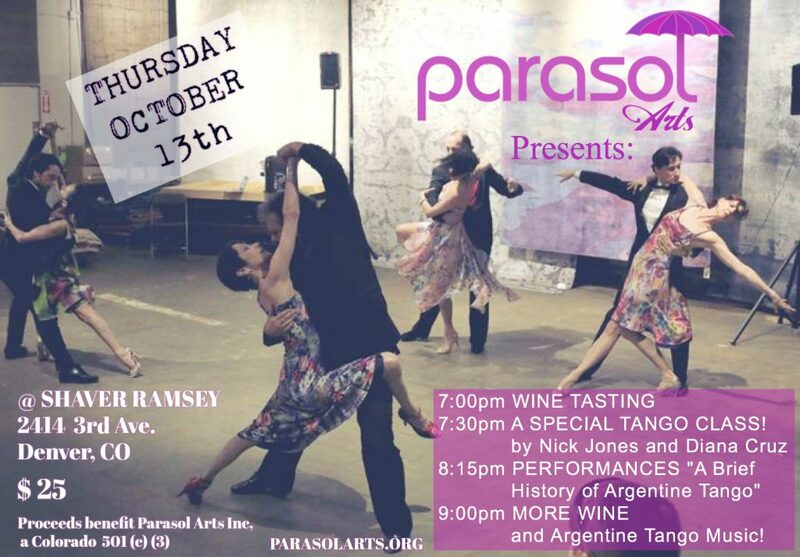 On October 13th 2016 Parasol Arts presents a special evening of Argentine Tango at Shaver Ramsey in Cherry Creek. There will be wine and refreshments, a special class in which you can learn a choreography to be performed later, and a show called “A Brief History of Argentine Tango” and more!! !